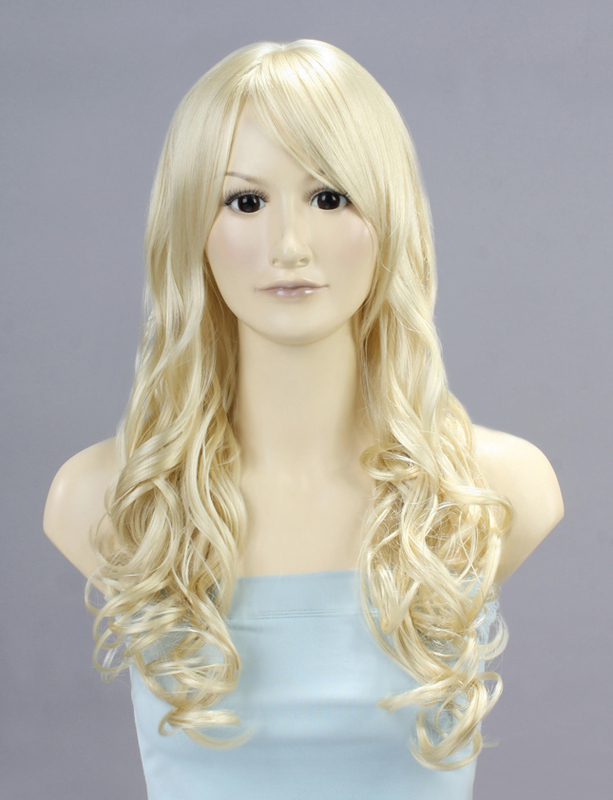 Wigs2you offers many high quality synthetic wigs to real human hair wigs! 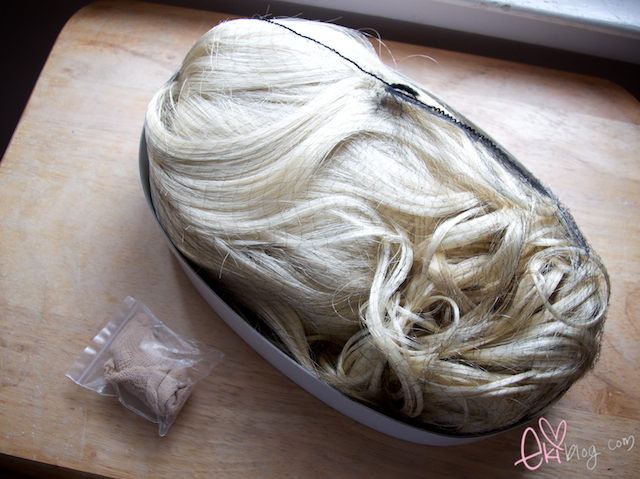 Wigs2you wigs offers real looking hair parting with scalp, inside the wigs are made with quality net, all wigs comes with a wig caps. Aah. I was wondering about the wig. Thanks for the info! I'll be looking into them for sure. What an awesome wig! I've always wanted to try one just for fun. You look gorgeous as a blonde! 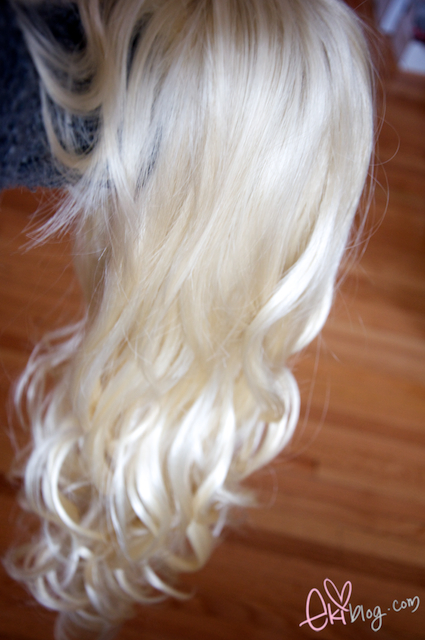 I buy all my wigs off of ebay under "cosplay" you can find some really amazing wigs for 20$ with free shipping. :) You look cute! IN CASE YOU HAVEN'T NOTICED, *gasp* YOU'RE ASIAN! AND THAT BLONDE HAIR IS JUST RIDICULOUSLY UGLY. PLEASE SEND IT BACK WHEREVER YOU BOUGHT THAT GARBAGE FROM, ALSO, SEND THOSE BLUE CONTACTS BACK TOO! BE HAPPY OF YOUR RACE, YOU SUFFER FROM LOW-SELF ESTEEM BAD! Oh, so if white people dye their hair black, then they're trying to be Asian? People can express themselves however they like and you just expressed yourself as being a garbage person by writing garbage comments, loser. I'm happy that you shared this useful info with us. Please keep us up to date like this. Thanks for sharing. 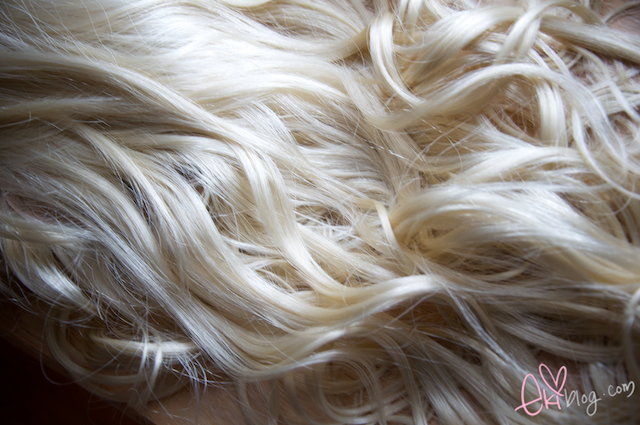 Thanks for finally talking about > "Wig from Wigs2you.com" < Loved it! right ahead and bookmark your website to return later on. I'm going to take a note of your blog and keep checking for new details about once a week. I subscribed to your Feed as well. I was wondering if you ever considered changing the structure of one's blog? Its perfectly written; I enjoy what youve got to say. But maybe you could a little more in the way of content so people could relate solely to it better. Youve got a lot of text for only having one or 2 pictures. Perchance you could space it out better? Hi just wanted to give you a quick heads up. The writing in your post appear to be running off the screen in Opera. to internet browser compatibility but I thought I’d post to tell you. The style look great though! Hope you get the issue fixed soon. Hey there, You have done an incredible job. I'll certainly digg it and personally recommend to my friends. I'm confident they will be benefited from this website. 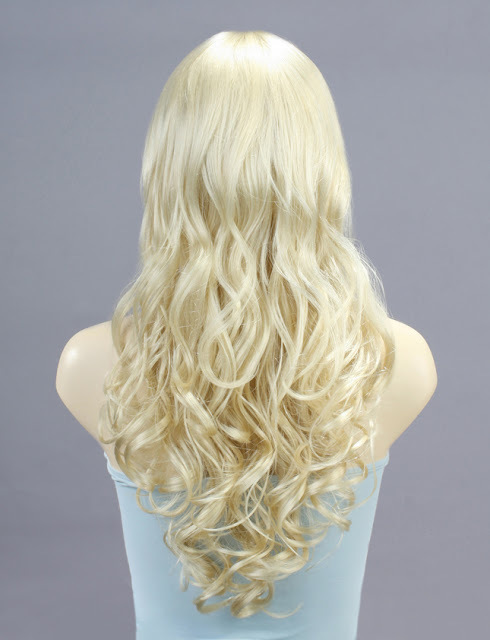 I don't write a great deal of responses, however i did a few searching and wound up here "Wig from Wigs2you.com". And I actually do have a couple of questions for you if it's allright. :-P And, if you are writing on additional sites, I would like to follow everything fresh you have to post. Could you list of every one of your shared pages like your linkedin profile, Facebook page or twitter feed? with us therefore i stumbled on check it out. I’m absolutely loving the information. Superb weblog and great design and style. figured I’d ask. Would you want to consider trading links or maybe guest authoring a article or vice-versa? and In my opinion we're able to greatly benefit from each other. If however you be interested feel absolve to shoot me a message. I anticipate hearing from you! Fantastic web log in addition! Hi, its fastidious article concerning media print, we all be aware of media is a enormous source of facts. Hmm is anyone else experiencing difficulties with the pictures on this web log loading? I’m trying to puzzle out if its a problem on my end or if it’s your blog. 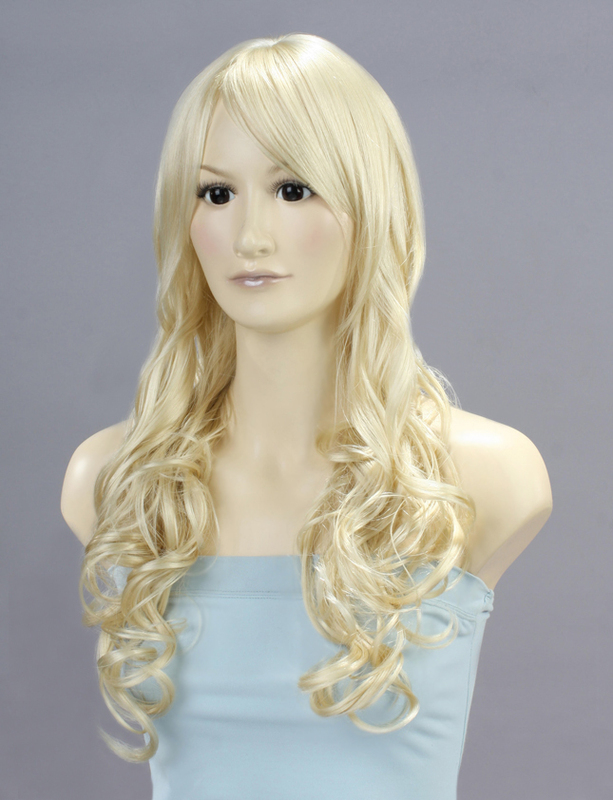 WOW this wig looks great! so pretty. I am planning to get a similar one. I've looked for several online stores and found a few in the stores of Elevate Styles... Thanks for the post. Discount full lace wigs, lace front wigs and hair extensions in stock and custom human hair or synthetic wigs for women on Riflebirdwig's online shopping. I think your Human hair wigs style is better, I like your hair style,thanks for sharing. Helpful information. Fortunate me I found your website by accident, and I am stunned why this accident did not took place in advance!